At Nature: Waging war on the science deniers! “Preaching, denouncing or shouting ‘Science works!’ won’t help. Neither will throwing around statistics, graphs and charts.” He’s right, but it doesn’t follow that facts don’t convince anyone. When important, well-known facts are omitted from a discussion, their signal can be louder than the permitted signals. “If the entire range of such vulnerabilities is not understood, attacking science denial is a frustrating game of whack-a-mole: it simply crops up elsewhere. To curb it, we have to comprehend what makes the whack-a-mole machine tick.” The metaphor of pointless conflict makes clear that the author does not come prepared to listen or learn anything; a bad beginning to a discussion between parties in conflict. “Contemporary science deniers have not one (religious) motive, but many — greed, fear, bias, convenience, profits, politics — to which they cling with various degrees of sincerity and cynicism.” Like all attacks on motives, this one causes a thoughtful reader to wonder about the author’s own co-belligerents’ motives. Given that they make a living out of science, would’;t many of them have roughly the same motives. It doesn;t hbear either way on who is more correct on the facts. “Science denial, however, is like crime: combating it requires both short-term and long-term strategies.” Implying that “science denial” is like crime could translate roughly as “It is a crime to disagree with my faction’s positions.” That approach has a history. 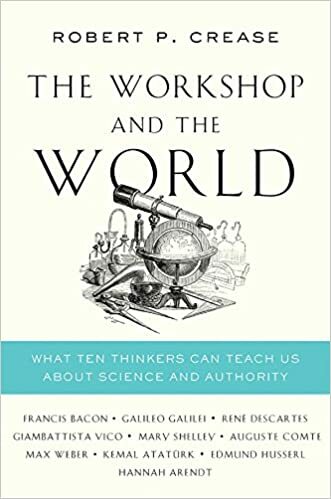 “Only by retelling that story — of how the authority of the scientific workshop was promoted, attacked, defended, coupled with society and then diminished — can we have an idea of how to respond when it decouples.” Offhand, it sounds as though Crease is trying to make his patriotic history of science into a popular legend. But he has certainly gone about it the wrong way. Dr. Crease certainly serves a purpose. Listening to him helps us understand why so many people doubt orthodox science. Sadly, there is a war on science, of sorts, afoot. Social justice warriors, for example, are taking dead aim at math. And at objectivity generally. It’s as if, unable or unwilling to even name, let alone withstand the threat, establishment science types hope to distract themselves with a different story until it goes away. Good luck with that. They see you have funding. And they always need more money. Would 3-D virtual fossils speed up research? “the authority of science is again under attack.”??? Science was under attack -and lost- when a famous Briton made a misleading extrapolation of observed biological adaptation onto macroevolution, sold it as a scientific thing and the world bought it while smiling cluelessly. Shame on us humans! Shame on us. It’s long due to dump all that outdated pseudoscience into the history trash bin for good. “throwing books into a fire”? In the first century? Really? Basing an important historical conclusion on a painting? PeterA, yes, those books do have a 17th century look to them. For one thing, they seem to be printed books. But if you are a philosopher of science, you don’t need to distinguish between Paul, as known to us from his Letters and Acts of the Apostles, and a seventeenth-century artist with a commission. People are supposed to believe him on authority without noticing those kinds of things or asking too many questions. The Preaching of St Paul at Ephesus. In this 1649 work by Eustache Le Sueur, the fiery apostle lifts his right hand as if scolding the audience, while clutching a book of scripture in his left. Among the rapt or fearful listeners are people busily throwing books into a fire. His claim that Paul the apostle was a ‘fiery preacher’ who was against science and wanted to burn books is to have a severely distorted view of Paul the apostle. First off, modern science did not even exist in the first century, but modern science only became possible in medieval Europe when the presuppositions held within Christianity, (i.e. of a rational universe created by a rational God, a universe that could dare be understood rational creatures that were ‘made in His image’), had finally come to dominate the entire medieval European culture. Excerpt: In 1925 the renowned philosopher and mathematician, Alfred North Whitehead speaking to scholars at Harvard said that science originated in Christian Europe in the 13th century. Whitehead pointed out that science arose from “the medieval insistence on the rationality of God, conceived as with the personal energy of Jehovah and with the rationality of a Greek philosopher”, from which it follows that human minds created in that image are capable of understanding nature. The audience, assuming that science and Christianity are enemies, was astonished. Whitehead’s thesis was but another bolt from out of the blue because the notion that medieval philosophy, scholasticism, led to the development of science was astonishing! So Christianity, then and now, never was antithetical to science. And this is because European Christians believed in a rational God whose imprint could be discovered in nature; thus, they confidently looked for and found natural laws. As Johannes Kepler, the venerable 17th century cosmologist, wrote, “The chief aim of all investigations of the external world” is to discover this harmony imposed by God in the language of mathematics. Stark concludes, “That the universe had an Intelligent Designer is the most fundamental of all scientific theories and that it has been successfully put to empirical tests again and again. For, as Albert Einstein remarked, the most incomprehensible thing about the universe is that it is comprehensible” which Einstein called a “miracle.” And this “miracle” confirms the fact that creation is guided by purpose and reason. But after Paul ‘saw the light’, Paul’s demeanor radically changed. A PROFOUND and permanent change had suddenly passed over Saul in the immediate vicinity of Damascus. The Saviour had shown Himself in glory, and spoken a few words of gracious power to him. The brightness of the vision had dazzled him into blindness, and with a smitten heart and faltering step he was led by his companions through the gate into the city. but test everything that is said. Hold on to what is good. Far from Paul persecuting people, Paul would debate his opponents powerfully refuting his opponents until his opponents would finally often be the very ones who themselves would seek to destroy Paul. Thus his claim that Paul the apostle was a ‘fiery preacher’ who was against science and wanted to burn books is to have a severely distorted view of who Paul the apostle actually was. If anyone is against the free discourse necessary for science, the author in the OP need not look any further than his own cadre who, besides character assassination of those who disagree with them, seek to censor and “Expel” anyone who dares disagree with them that all life on earth is the result of Mindless Darwinian processes. Update per Nancy Pearcey: The microbiologist, Kas Thomas, who wrote the article expressing doubts about Darwinian theory (posted below) is shocked, shocked that he is being vilified by Darwinists: ” I am not a creationist, and yet now I know from first-hand experience what it feels like to be on the receiving end of scorn born of dogma — scientific dogma. I don’t know why it should surprise me to find there are bullies on all sides of this issue. Until now, I stupidly thought scientific minds were more tolerant and less bullying than religious thinkers. The comments here show the truth. There are closed-minded, intolerant bullies on both sides. “Bully” meaning someone who is not content to leave one well-reasoned comment, then move on; someone who has to keep leaving more and more comments, using the most vitriolic language, simply because they can’t get their way….